The Eyes and Mouth Capture “It”! 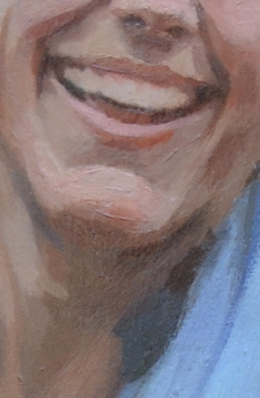 Although all drawing needs to be accurate to get a good likeness, so much character and personality are found in the eyes and mouth. 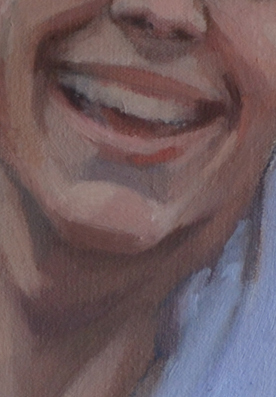 Subtle adjustments in these areas can make a huge difference, taking a painting from resemblance to “you captured him so well!”. 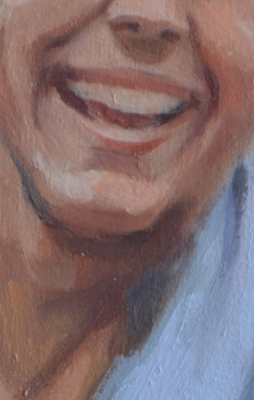 Here are some close up photographs of the painting “Ethan” taken during the it’s progression. You can see how the small adjustments change the character ever so slightly but very importantly in these areas.